Our mission is to provide the most comprehensive coverage of roads and highways online. Featured throughout our site are highway guides, maps, photos, and other resources. 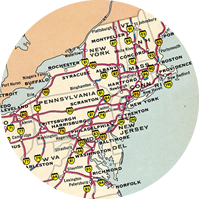 A variety of topics on AARoads aids in trip planning and research while providing the latest information on an assortment of subjects covering roads across the United States. Our photographic highway guides profile a variety of routes from Interstate highways to county back roads. These pages generally cover highway termini, junctions with other routes, county line crossings, major or important bridges, signalized intersections, city skylines and other noteworthy transportation or area points of interest. We include historical tidbits, trivia and other local knowledge too. 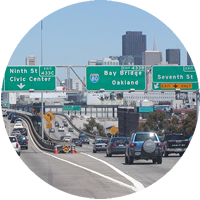 City and area guides on AARoads take a more in depth look at local or metropolitan area highway networks. This aspect of our site more thoroughly profiles route systems and other significant roads on a local level with both a focus on historical alignments and map scans and also current expansion and future road projects. Our blog includes reports from recent travels that we take to update the web site or for journeys to see new roads. 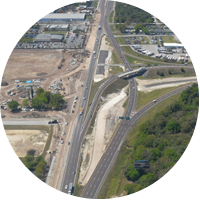 Other posts cover road news on new Interstate corridors and construction projects from across the country, web site development, and topics for fun among other content. 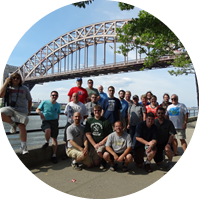 Our online discussion forum offers a place for both road enthusiasts and general travelers to mingle and discuss a variety of subjects. Share photos, learn more about area construction projects from local members or find a road meet to attend near you. These topics and much more are covered on our 2,000 plus member board. AARoads’ Albums is our growing database of photos showcasing both photos taken during the early years of the web site and also an assortment from recent travels that are not incorporated into our more formal highway guides. Photos are cataloged by state, route type, county, city, etc. 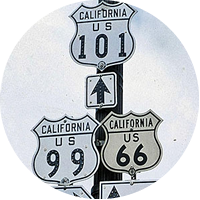 The AARoads Shield Gallery includes an array of over 10,000 photos ranging from early era highway sign designs to modern trailblazers for touring routes and toll roads across the country. The bulk of this catalog consists of photos generously submitted from fellow road enthusiasts and long time contributors. AARoads’ Interstate-Guide delves even further covering current, past and future routes within the system. While the web site initially covered routes with a brief overview and a collection of end photos, development of pages over time enhances our coverage to include more extensive historical write-ups, an outline of recent modernization and widening projects, and expansion of the Interstate system with the growth of the I-11, I-49, I-69 and other corridors. Road signs across the U.S. use one of two fonts: FHWA Highway Gothic or Clearview. The latter became the exclusive type for states such as Michigan, Pennsylvania and Texas, while municipalities in other states switched their street signs to the newer type face. Interim approval for the font was previously rescinded by an FHWA mandate in February 2016, but reinstated in March 2018. 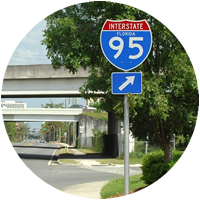 Florida was one of several states to use colored route markers to aid in motorist navigation. Arizona, Mississippi, South Dakota and Washington also used a colored route format, but Florida’s system was the most extensive and longest lasting, remaining in place until 1993. Be sure also to follow us on social media for the latest in road news from across the country, photos and roadtrip reports from the field and major site updates.